This family owned business has gone through a long development period when reflecting the bygone years of the Weinklause in the Prinzenstrasse 10. The property was built at the turn of the century (1904) and started as the "cafe" fresh. 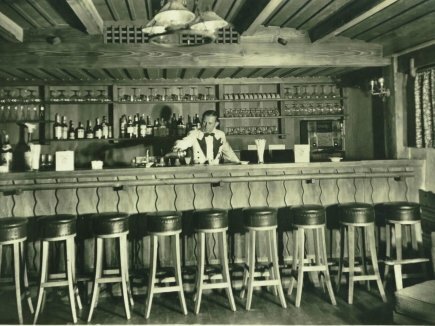 A little later on big changes were made because the "Weinklause" was renamed by the new owner Mr. Weissensee into "White Horse Inn". Exclusive apartments and a sauna were built and by doing this the "White Horse Inn" wanted to become well known. But several years later it was sold again to the family Klinger. After some disputes and bankruptcy the hotel was unoccupied for over a year. One more time it was offered for sale. During the war the house was used as a school and then turned into a hospital. 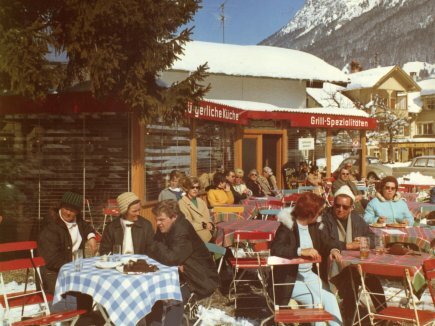 Later on the owner Fritzl Müller expanded an turned it into a dance cafe. 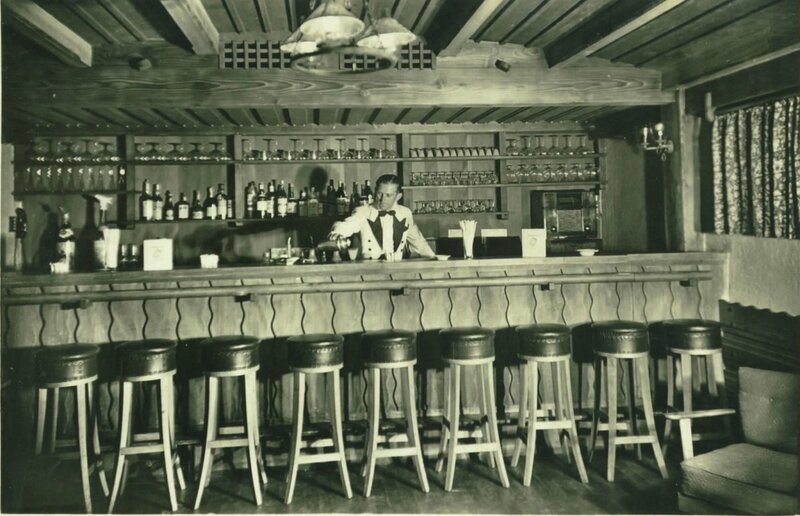 In the fifties a bar was built in the basement, which was sub-let to the famous ski jumper Sepp Weiler. This was the new beginning of the "Weinklause". 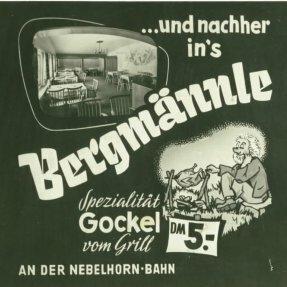 At that time a farmers couple that had had the restaurant "Zum Berg Männle" for over 7 years, were living with their 4 small children in a little house on the Kühberg and were ugently looking for a house in the middle of the village. The family Nobis bought the hotel and established their second restaurant that also had rooms to rent. 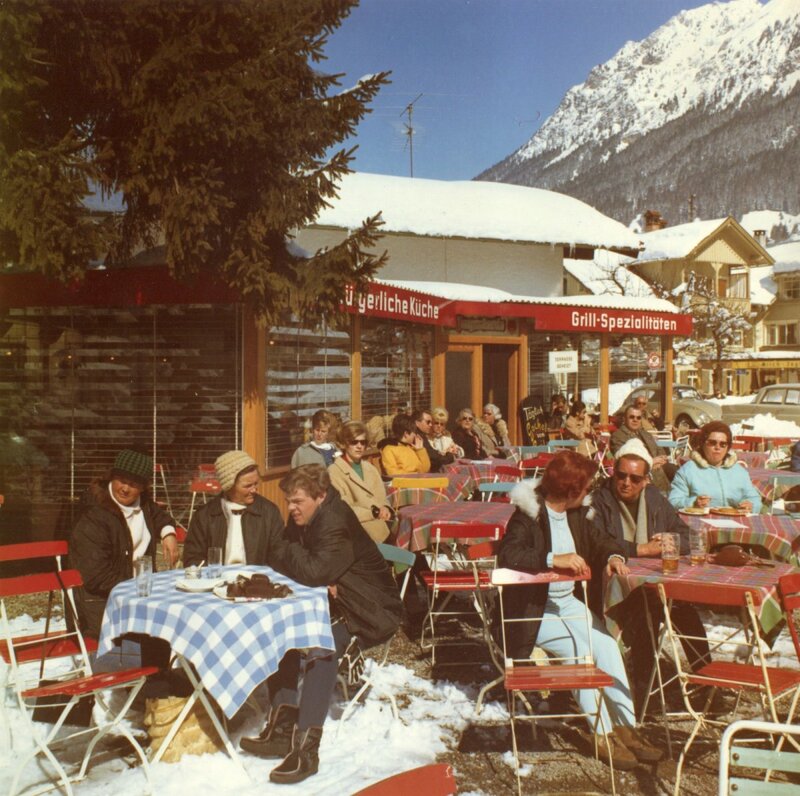 Once again they called the Hotel "Weinklause" and hired a band called "The Iller Sparrows ". From the first day forward they were successfull, and this success has lasted on for decades. 1967 Mr. Nobis was able to purchase a further 1,000 sqm from the granddaughter of the last Bavarian King, Her Royal Highness the Duchess of Urach Wiltrud , thereby planning an extension and reconstruction, that costed three times as much as was agreed upon. 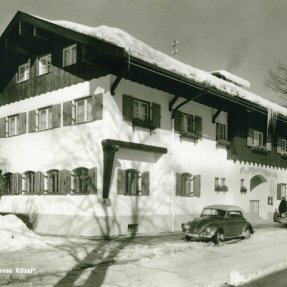 For a long period of time the family had to struggle in order to survive, but through many implemented activities, such as the sleepwalker ball in the carnival season, the first disco in the Allgäu region, and being able to eat good and inexpensive food, from the chef cook Mrs.Nobis who was responsible for both houses, made a positive turn around possible. In 1975 with good luck and favor the couragous and diligent family Nobis were even able to buy the "House Schrofen". Twelve years later, there was another major renovation in which all the rooms were modernized. For Oberstdorf this was the right timing because it wanted to become a car- free village and from that time on the disco and dancing hall were unattended because there were no parking possibilities.Finally, a new guest structure with a more peaceful atmophere and delicious food was pursued. 1990 Silvia, the daughter built the house "Anna" which included a Chalet and further rooms. Still further modifications were made such as the modernization of the kitchen, cold storage rooms, a terrace and the construction of new toilets followed. 2012 Silvia was able to acquire the "house Haslach" and so a new plan emerged: an extension of the Hotel with a lovely reception, a lobby, a winter garden,a lift, a wellness area with 3 saunas, a disabled toilet, plus 14 new hotel rooms, some are handicapped accessbile.